If Manchester United’s dismal performance in losing to Stoke City last weekend isn’t a season’s nadir then these indeed are desperate times. Fulham arrive at Old Trafford on Sunday as one of few sides actually in worse form than United; Rene Meulenstein suffering a disastrous run of results since taking over at Craven Cottage in early December. Yet, such is United’s campaign under new manager David Moyes that there is genuinely little confidence the Reds will dispatch Fulham at Old Trafford; at least not with the ease United fan’s used to enjoy. After all, Moyes’ side has lost four league games at home this season and five in all competitions since the turn of the year. Rarely can a game against the Premier League’s bottom side have been so welcome over the past three decades. Injuries and ill luck have played their part in United’s poor form this season, but the confidence sapping nature of the Reds’ style under Moyes has contributed significantly. Percentage football that has focused on quickly delivering crosses was illustrated perfectly at the Britannia Stadium last weekend where United succeeded with just 13 of 47 long balls and just five of 33 crosses. It was ever thus under Moyes. Still, if United cannot beat even the most limited opposition then every failure this season brings is surely of the club’s own making. Ahead the midweek fixture against Arsenal at the Emirates – Liverpool having beaten the Londoners this weekend – Moyes’ side simply must win on Sunday. Failure will only increase the volume of criticism being levelled against the Scot. Moyes’ will benefit from few fresh injuries this weekend. The former Everton manager will be without defender Jonny Evans for the Cottagers’ visit, but Phil Jones is available after suffering concussion last weekend. The former Blackburn Rovers defender might revert to central defence with Chris Smalling clearly lacking confidence. Meanwhile, Marouanne Fellaini is once again on the sidelines having picked up a fresh injury this week. The £27 million Belgian has recovered from wrist surgery only break down in training ahead of what would have been a return to action against Fulham. Nani is still out, while Rio Ferdinand is unlike to return this weekend. However, captain Nemanja Vidic returns having completed a three-match suspension. The Serbian announced this week that he will leave Old Trafford after eight successful years at the club. United offered the 32-year-old a new contract in January, but the deal will forever remain un-inked in what Moyes called a ‘mutual agreement’. Some breaks are more mutual than others. “I think it was the right decision for both the club and the player,” said Moyes on Friday. “What I discussed with him will remain private but he has been a brilliant servant and captain for Manchester United. He is captain and will remain captain until the end of the season. He has been a great player for us and we will continue to play him. “He’s a great leader for this club and served the club really well and I would expect that to continue right up until the end of the season. I think people know that I’ve got things in my mind that I want to do and things I wanted to change in time. I can’t do it all overnight. That wasn’t the reason for this. As I said, this was a decision that we mutually decided together. He felt it was the right time for him. Elsewhere, Moyes is challenged with getting the best out of new signing Juan Mata, who started on the right wing against Stoke, with Wayne Rooney deployed behind Robin van Persie in attack. The wide role is likely to cap the Spaniard’s influence, although with Adnan Januzaj also due to start, Moyes has the opportunity to evolve United’s tactics this season. Whether the Scot is minded to seek out a more flexible, fluid approach remains a doubt. Meanwhile, Fulham coach Meulenstein returns to Old Trafford for the first time since departing in controversial circumstances last summer. Moyes’ explanation that the Dutchman chose to leave – eventually for Anzhi Makalaka – does not always chime with Meulenstein’s recollection. 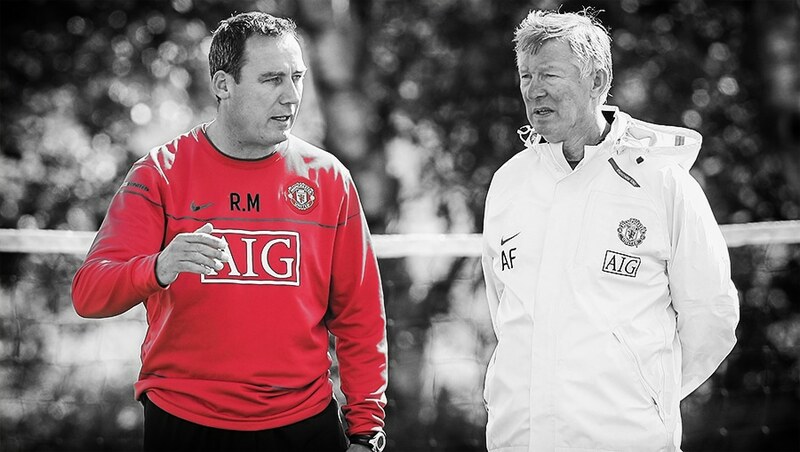 The former United coach is not thought to have been prepared to take the minor coaching role on offer in United’s backroom. Steve Round, Jimmy Lumsden and Chris Woods came with Moyes from Everton in the summer. On the pitch Meulenstein could hand a debut to new Greek signing Kostas Mitroglou, while fellow transfer deadline day acquisition Johnny Heitinga is also expected to start as Fulham seek to arrest a run of form that has brought six defeats in the past 10 matches. The Cottagers lost to League One side Sheffield United in the FA Cup in midweek in what was a new low in a poor season. “We have to pick ourselves up, brush ourselves off. That’s what we’ve done in the last couple of days and we have to make sure we’re in the best possible shape to travel to Old Trafford on Sunday,” said Meulenstein. United supporters can but hope that the former Old Trafford favourite doesn’t enjoy Sunday’s fixture too much. But after defeats to Tottenham Hotspur, West Bromwich Albion, Everton and Newcastle United in the league at Old Trafford there are few guarantees. brilliant as much as it is terrifying. Surely someone, at least one person in power, is aware and is also asking questions. If United don’t win then this will be a new low following on from some previous desperate situations. I would persevere with Smalling as centreback. He needs a run in that position not being messed about by being dropped or played at fullback. 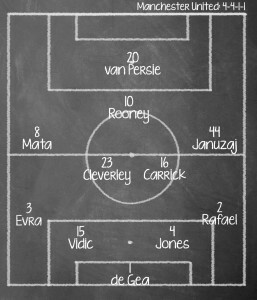 The squad numbers in that line-up are all wrong! I honestly don’t know how we will perform and I honestly don’t know how I really want it to go. It’s impossible for me to root against United but a loss against the EPL bottom-dweller at home could change the debate from if DM should go to when he should go. I’m really worried ownership will give him 100 million, he’ll buy badly and then we’ll sack him. Then we’re really effed cos the new guy will want funds and they might not be available.